The 70th Primetime Emmy Awards were presented on Monday night, and it would appear that one of the nominees went so far as to carry his performance into the awards ceremony itself: Someone appeared at the Emmys dressed as Teddy Perkins, Donald Glover’s unforgettably freaky character from Atlanta’s season two episode of the same name. And despite the fact that Glover came up empty on the five awards for which he was nominated—in addition to Hiro Murai (pictured with Teddy below) losing out on a directing Emmy for “Teddy Perkins” itself—his show’s stunt ended up dominating the Emmys conversation regardless: While many assumed it was Glover himself under all that makeup, the dapper actor was seen elsewhere out of costume, sending numerous entertainment obsessives headfirst down the rabbit hole of trying to figure out who exactly it was in the Teddy Perkins get-up. As Ben Schwartz pointed out, Teddy’s presence must have been far more unsettling for those not in on the Atlanta joke. Indeed, Paste’s Jacob Oller aptly described the character as “Lynchian uncanniness jammed into a Scrooge McDuck bathrobe” in his review of the episode. 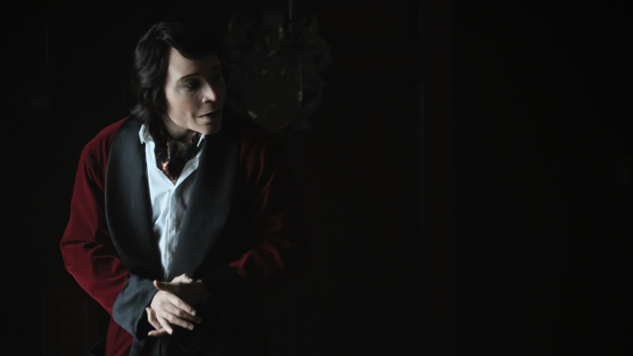 The only thing more intense than Teddy Perkins being in the front row of the Emmys is trying to explain to someone who doesn’t watch Atlanta who Teddy Perkins is. Beneath it all, the question remains: Who played Teddy at the Emmys? Glover was seen elsewhere and has a beard that surely would play havoc with all that makeup. His Atlanta costar Lakeith Stanfield, too, was spotted at the ceremony at places and times that likely rule him out, as Vulture found. And both actors were seen alongside Teddy at an afterparty, further thickening an already impenetrable plot. The cast of Atlanta — and Teddy Perkins are in the building at #Emmys after party. Most likely, the Atlanta crew enlisted some third party to play the character, but there’s one possibility that keeps dogging us … What if that was just Teddy?